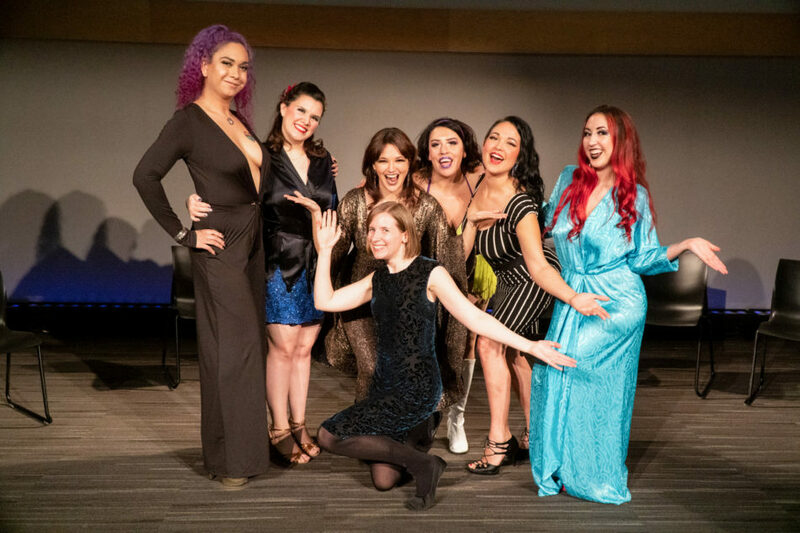 The Indigenous burlesque collective known as Virago Nation performed in the first of a series of events entitled “Medicine In Our Very Bones: Gender, Sexuality and Embodied Resistance in Indigenous Burlesque” on Jan. 24. The event was held in order to educate and highlight the importance of Indigenous identity and sexuality, which is often oppressed by Canada’s colonial narratives. Their performances emphasized the resilience and recognition of violence against Indigenous women, among other subjects. Overall, it provides a platform for its performers to demonstrate control of their bodies in a positive way. Scarlet Delirium’s performance, for example, was a beautiful presentation in honour of her Nation and her homelands. For “Medicine In Our Very Bones”, she danced to a song about land protectors and water defenders. Delirium says that she has only foggy memories from her childhood, and was unsure of the details of her family history until she encountered an uncle who was responsible for recording their ceremonies. Now she says her work with Virago Nation brings awareness to issues she believes in while allowing her to honour her family. At the panel held after their performance, member Sparkle Plenty talked about how the media portrays members of Indigenous communities as victims. Plenty emphasizes that Indigenous people are worthy of being celebrated, and that it is important to let other Indigenous women know that through the work of groups like Virago Nation. Convening member of the collective Shane Sable says that one of her difficulties with transitioning into a performance space was incorporating Indigeneity into her burlesque personas. This was because of the cultural factors involved; she was worried about contributing to the oversexualization of Indigenous women’s bodies and that, by doing so, she may be perpetuating the violence that society encourages against Indigenous women. Later, she concluded that the positive sexual Indigeneity central to Virago Nation allowed her to represent their own communities and, by extension, allowed her audience to learn from and heal with her. First and foremost, Virago Nation performs for the Indigenous community. The healthy representation of Indigenous sexuality is a way of healing from the intergenerational trauma that has been caused by ongoing colonization, the panellists explained. Virago Nation will be holding workshops and performing at KPU at least two more times in the future. Updates on these events will be announced on their website soon.